National anthem won't be played at tonight's graduation ceremony out of 'consideration for others' - Arab students and guests in attendance. 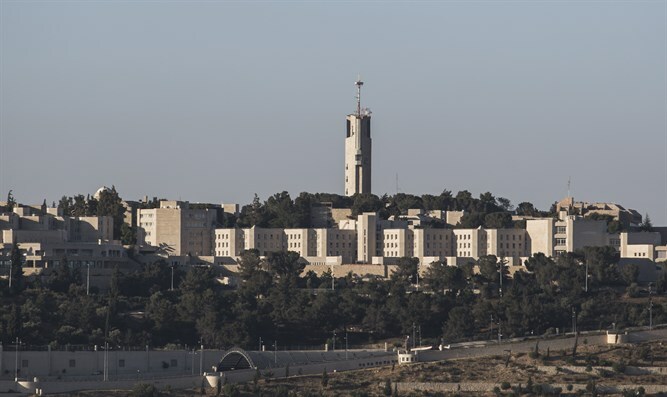 The faculty of humanities at the Hebrew University is to hold tonight its annual celebratory event during which graduates of the university will receive their degrees. In recordings published this morning on Army Radio, an employee of the department explained that the Israeli national anthem, “Hatikvah,” will not be played at the ceremony, and cited “consideration for others” - Arabs students and guests coming to the ceremony - as the reason. This is the second time in a row that the national anthem will not be played at the ceremony, following years during which the ceremony had concluded with singing of Hatikvah. Following the decision, the “Im Tirtzu” Zionist organization sent a letter to the Dean of the Faculty of Humanities, demanding that the national anthem be reinstated at academic ceremonies held by the university. The letter noted the importance of a leading academic institution in the country conveying comfort with the existence of the state of Israel. The university emphasized that at state ceremonies, the singing of the anthem is accepted practice, while at academic ceremonies there is no obligation to play the anthem.